Is Rackspace down at this time, check the server status and if not working there may be any outage. Rackspace is a cloud computing company which offers managed services. Moreover it also offers emails and apps along with domain registration services. The prime business comes from two business lines, Cloud servers and Dedicated servers. There are about 3,000+ cloud engineers which are always there to tackle any problem on the way. Moreover the certified professionals from Microsoft, Cisco, Red Hat and VMware adds more value to Rackspace. That is why you can get expertise for dedicated hosting, Amazon Web Hosting, Microsoft Azure and OpenStack Cloud. The company grows much since its formation in 1996 as Cymitar Network Systems. If you have any problems with the service and unable to connect with hosting server, submit a report here. Although the issues are not seen very aggresively, but problems can occur at any time. 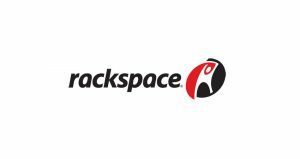 So, at this page you can check and find the status of Rackspace and its other services inlcuding Cloud and Apps or Email system.